"Rejoice! Rejoice! Emmanuel Shall Come to Thee"
This Christmas classic refers to the Israelites awaiting their Messiah, Jesus Christ the Son of God, and is a powerful backdrop to what is going on in this world today, especially in the middle east, the cradle of civilization. Their Messiah and our Savior is to bring and end to a world which is suffering in chaos and sin ("Satan's tyranny"). "From depths of Hell Thy people save, And give them victory o'er the grave"
It is through this Savior that all who shall believe in him will not die but have everlasting life! Lyrically the song demonstrates the feelings and expressions of those who await in desperation and hope that Christ shall save them from suffering and death and to put and end to the enemy of our soul, and the enemy of Christ, once and for all. 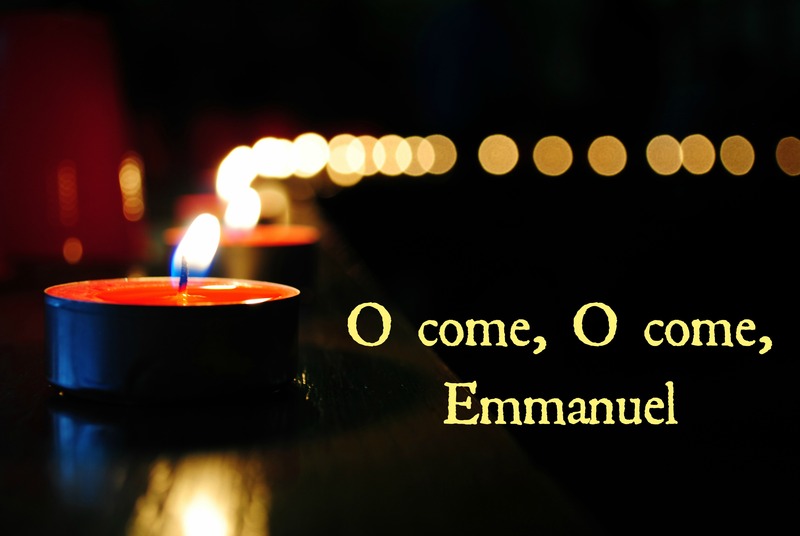 Yes, Come, O Come Emmanuel! I found the performance by David Dunn (video is below) particularly poignant and moved in lockstep with the depth of emotion and meaning it had to the writer then, and to those who still wait today. -W.E. The favourite O Come, O Come Emmanuel carol was originally written in Latin text in the 12th Century. The author of the words and composer to the music of O Come, O Come Emmanuel is unknown. It is, however believed that the melody was of French origin and added to the text a hundred years later. The Latin was translated into English by John Mason Neale in 1851.